nj arts maven: Hear Sarod master Amjad Ali Khan with the NJSO! 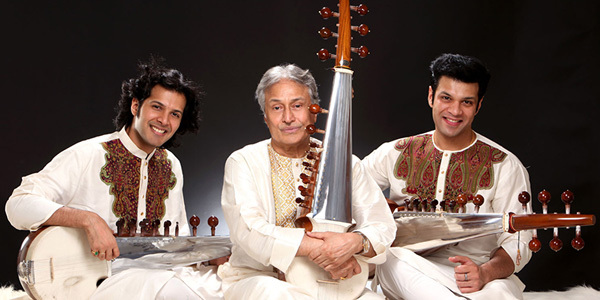 Unmissable: Sarod (Indian lute) master Amjad Ali Khan takes the stage with his sons and the NJSO for an unforgettable meeting of East and West. Similarly, Rimsky-Korsakov’s Scheherazade spans time and place. $10 tickets for college students include the concert and a post-concert party with refreshments and live entertainment. More info. Come early and enjoy a special Prelude Performance featuring one of the NJSO Youth Orchestras ensembles, led by Naomi Youngstein.